Suzy Vitello's stories have won several awards, including The Atlantic Monthly's Student Writing Award and an Oregon's Literary Arts Fellowship. Her work has appeared in national journals and her young adult novels, THE MOMENT BEFORE (January 14th, 2014), and THE EMPRESS CHRONICLES BOOK ONE (September 4th, 2014), and THE KEEPSAKE (EMPRESS CHRONICLES BOOK TWO) are available in e-book and paperback..
Suzy's echapbook, UNKISS ME, is available for sale through Amazon. This was an okay book with beautiful writing. I think that that the language of this book was lovely. And the mystery in this book kept me on the edge of my seat and kept me wanting more! 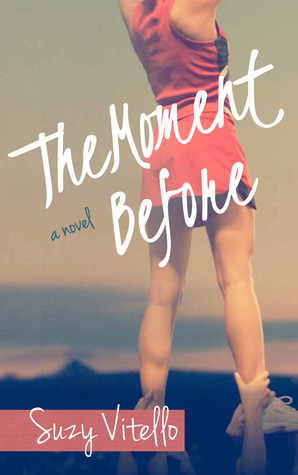 Overall The Moment Before is a good book with a great mystery and a very interesting main character, Brady.